(CNN) - Cardi B is kicking off the holiday season a bit early with some good will. The rapper handed out free winter coats in Brooklyn, New York on Thursday, where a massive crowd swarmed the "I Like It" performer. 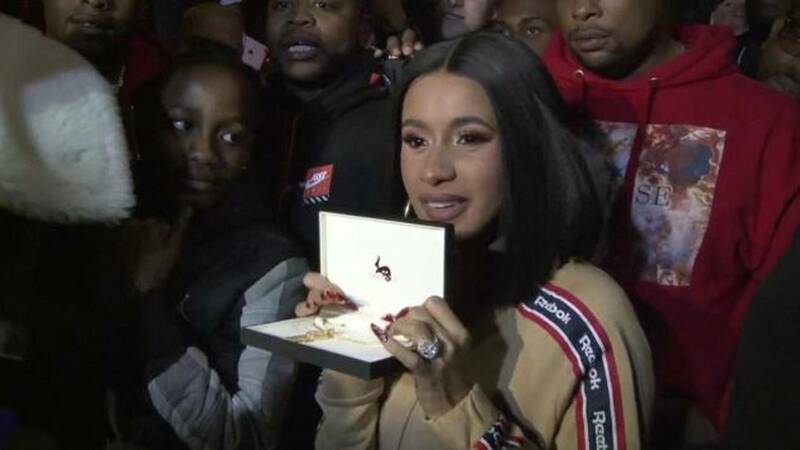 "I didn't know it was gonna be so big," Cardi B told WABC about the large crowds who braved the chilly temperatures to see her. "My home boy Chuck, he told me, 'Hey, let's give out coats to our community, I know somebody who wants to give out coats in Marlboro,' and I said, 'I'm pulling out, what's up?'" It's been a big year for the artist, who gave birth to her first child this summer, a daughter who she named Kulture Kiari Cephus, with her husband and fellow rapper Offset. Cardi B is also reportedly in talks to play Fran Drescher's daughter in a potential reboot of Drescher's popular '90s sitcom, "The Nanny."